They come in pouches and need to be frozen first. The alcohol is already in the pouch! 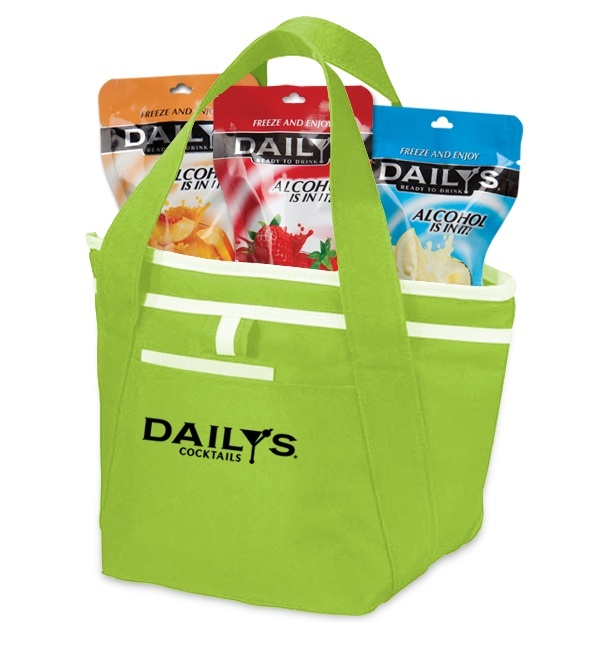 The pouches are great for at home or on the go. You need NOTHING other than the pouch and a glass. 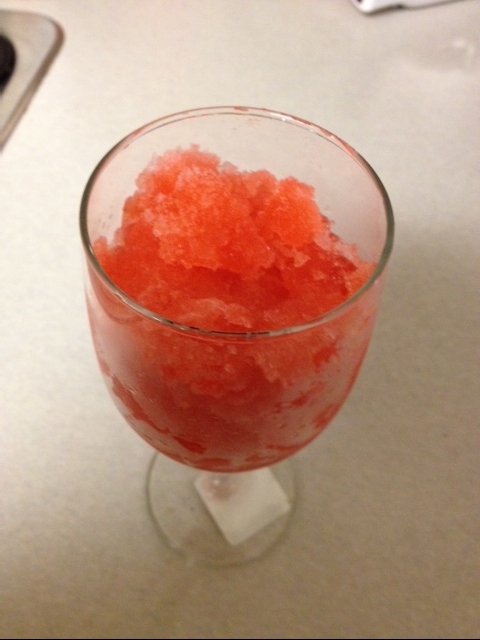 No blender, no ice and no mess! I think this is fantastic! I would love to make more cocktails at home but the idea of getting out the blender and the hassle of it all, is just too much. Plus, unless you have a really good blender that crushes ice, the drinks don't come out like they do at the bar or restaurant. After freezing, the come out of the pouches like a slushy. You could obviously leave them in a slushy state or let them sit for awhile so they are a little more like a drink. I found them easy to get out of the pouch and there was plenty inside of each pouch for a large sized drink. Both the Strawberry and Peach Daiquiri, were packed full of fruit flavor but not so much that they were overly fruity. I found them both to be a little strong alcohol wise but again, I don't drink very often so it may have been just me. Just in time for the Fall, Daily's is excited to introduce two new seasonal frozen pouches! Hard Cider and Spiced Sangria. Check them out before it's too late as they are only for a limited time. 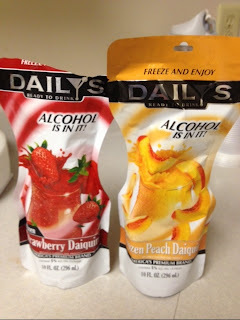 Overall, I enjoyed these and think they are an excellent idea for at home or on the go without the hassle and mess of making a drink with a blender and ice. The price was excellent as well considering they were $2.99 in my area. Most bars and restaurants that I have been to charge about double that for a good quality drink. 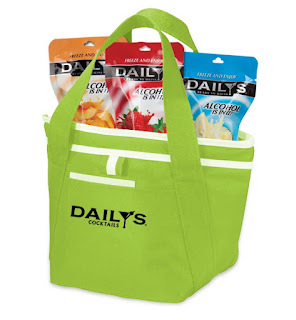 3 lucky readers who are 21+ will win a Daily's Cocktail's insulated lunch tote! You must be 21 or older and live in the US(No Alaska or Hawaii). 3 winners will be picked using Random.org and emailed. Winners will have 48 hours to respond to winning email or a new winner(s) will be picked in their spot. Giveaway ends 11/9/12 at 11:59 pm eastern time. Use the Rafflecopter form to enter. Disclosure: I received a complementary gift card in order to purchase Daily's Cocktail's frozen pouches. No other compensation was provided. All opinions were honest and my own.